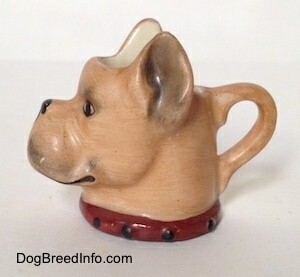 Rare vintage Russian Spaniel dog miniature stein cup by Goebel. 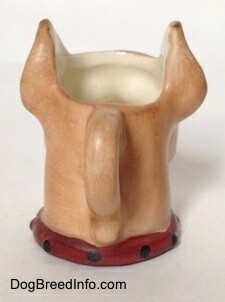 This cup has the trademark 2 (TMK-2) Goebel logo on the bottom of the full bee inside the V. This dates the cup to the 1950s. 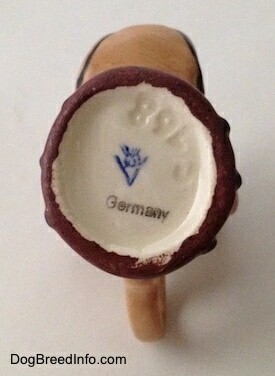 To the left of the logo it is stamped in black with the name Germany. 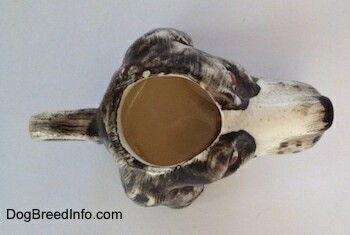 Engraved into the bottom is S 177. 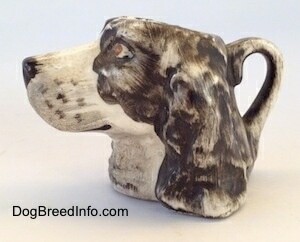 The cup is 1 1/2 inches tall, 2 1/2 inches long from the handle to the muzzle and 1 1/2 inches wide across the front. It is in excellent condition. 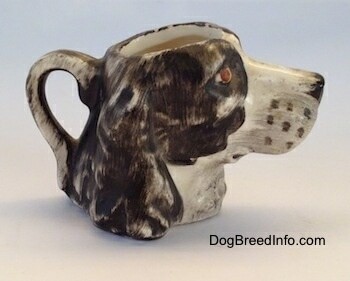 Rare vintage Russian Spaniel dog miniature stein cup by Goebel—image showing the Goebel full bee inside the V. To the left it is stamped in black with the name Germany. Engraved above the stamps it says S 177. The cup dates back to the 1950s. 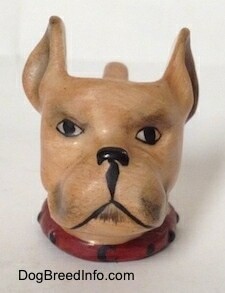 Pictured is a rare vintage Boxer dog miniature stein cup by Goebel. 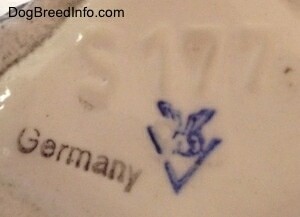 This cup has the trademark 2 (TMK-2) Goebel logo on the bottom of the full bee inside the V. This dates the cup to the 1950s. Below the logo it is stamped in black with the name Germany. Engraved into the bottom is S 768. 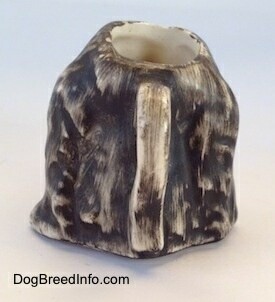 The cup is 1 5/8 inches tall, 2 1/4 inches long from the handle to the muzzle and 1 1/2 inches wide across the front. It is in excellent condition. 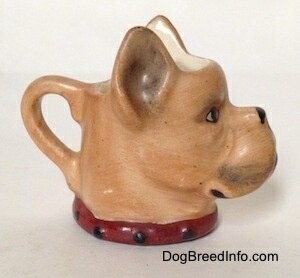 Rare 1950s vintage Boxer dog miniature stein cup by Goebel—image showing the trademark 2 (TMK-2) Goebel logo on the bottom of the full bee inside the V. This dates the cup to the 1950s. Below the logo it is stamped in black with the name Germany. Engraved into the bottom is S 768. 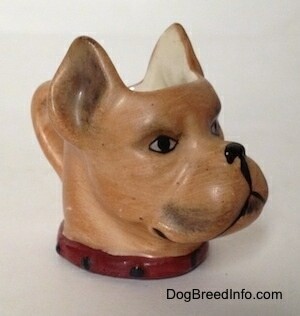 This is a second Boxer dog miniature stein cup by Goebel. 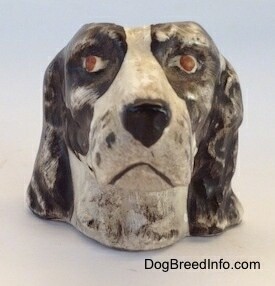 It is very similar to the one above and appears to have been crafted by the same artist, but being hand-painted it does vary in its markings.